These links to external web sites may be of interest to parents and members of 3GP. 3rd Gidea Park Scout Group are not responsible for the content on these web sites. St. MICHAELS CHURCH have their own web site. The web site gives information about what's going on at St Michael's and in the parish community. 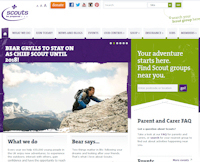 The Scout Association have an excellent web site with articles, ideas and activities for all members of the movement. Scout Shops is the supplier of official Scout uniform as well as other items of Scouting equipment. 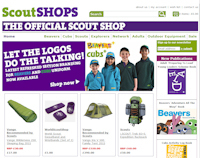 Beaver, Cub and Scout uniform can be ordered on line from this web site. Kandersteg International Scout Centre is the only world centre of the World Organization of the Scout Movement (WOSM). Every few years the Scouts try and hold a summer camp there. Find out more about Kanderstag on their web site. 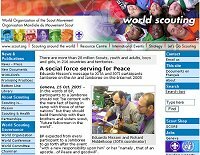 Scouting is a world wide organisation.This web site is our global home page. 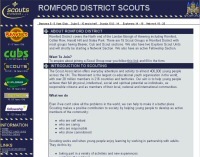 Romford district Scouts now have their own web site.